Indian jewellery set in antique gold (22k gold plated with black antique) and green, set with American Diamond and crystal diamante stones. Stunning detailed piece incorporating meena adorned dark blue/black peacocks, tastefully integrated into the earring design. Indian Jewellery Store LOVES this product. 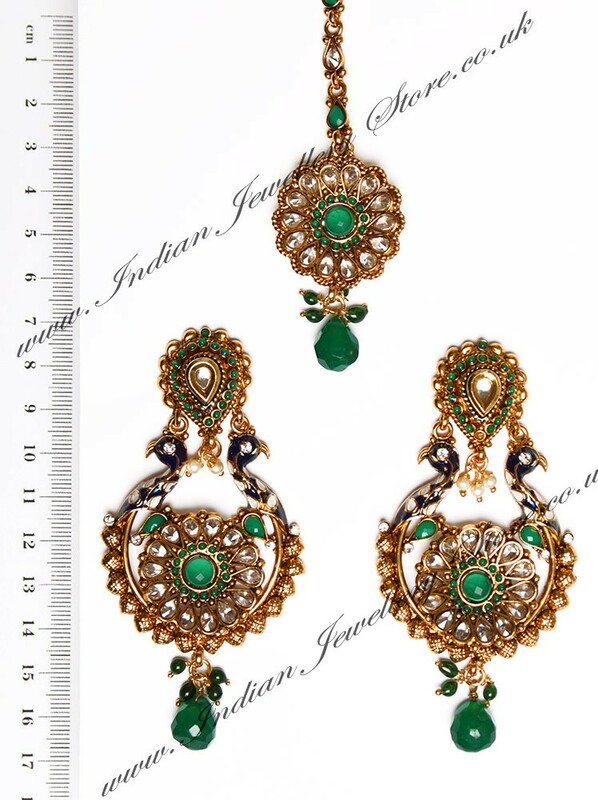 Set includes: earrings and tikka. Other colours available. Scale shown in image is in cm.